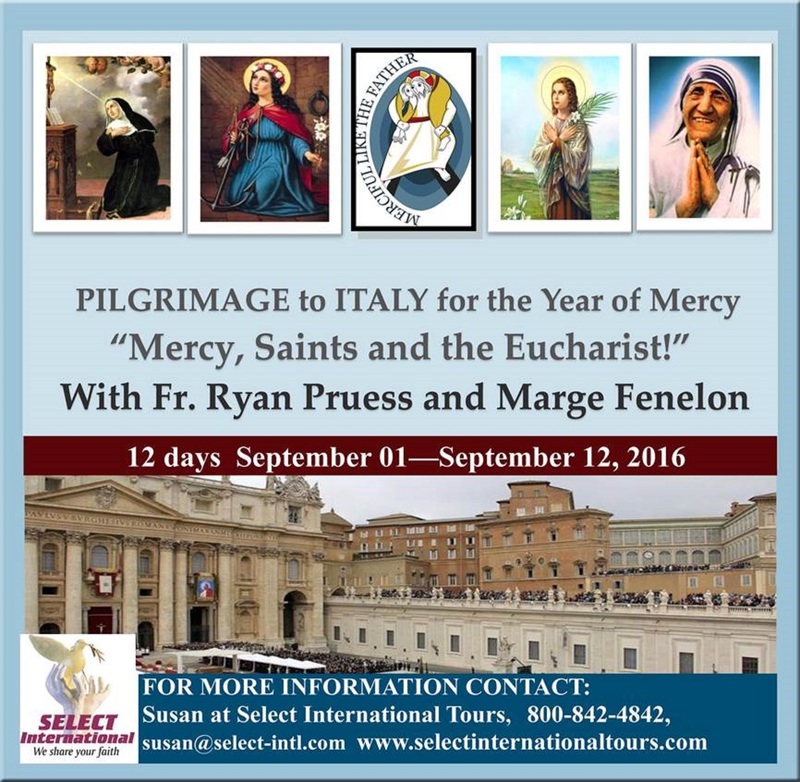 We’ve extended the deadline for Mercy, Saints, and the Eucharist Pilgrimage to Italy. The new dealine is May 25. This gives some space to the many folks who are working hard to rearrange schedules and gather resources for the trip. This pilgrimage truly is unlike any other. Along with Fr. Ryan Pruess, I’ll be attending the canonization of Mother Teresa, visiting the tombs of St. Monica and St. Vincent Pallotti, seeing the house where St. Maria Goretti gave her life for Christ, venerating Eucharistic miracles in Assisi and Casia, viewing the Crucifix that spoke to St. Bridget of Sweden, passing through FOUR Holy Doors, enjoying authentic Italian cuisine and more. I would LOVE to travel with you on this incredible pilgrimage. Come along with me! Italy, Mother Teresa, Pilgrimage. Bookmark.